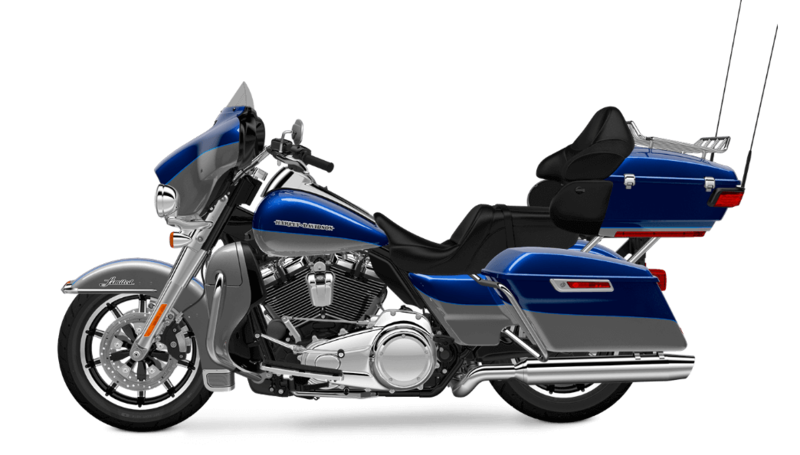 The Harley-Davidson® Ultra Limited Low is one of the our favorite bikes in the current Harley-Davidson® touring lineup, because it provides top-shelf features, touring convenience, and a low seat height, so it’s perfect for many riders. The Ultra Limited Low also gets the all-new Milwaukee-EightTM 107 Engine for more power and performance than ever. Learn more about this new model here at Riverside Harley-Davidson®. Do you want ultimate control when you’re out there on the road? The Ultra Limited Low delivers. 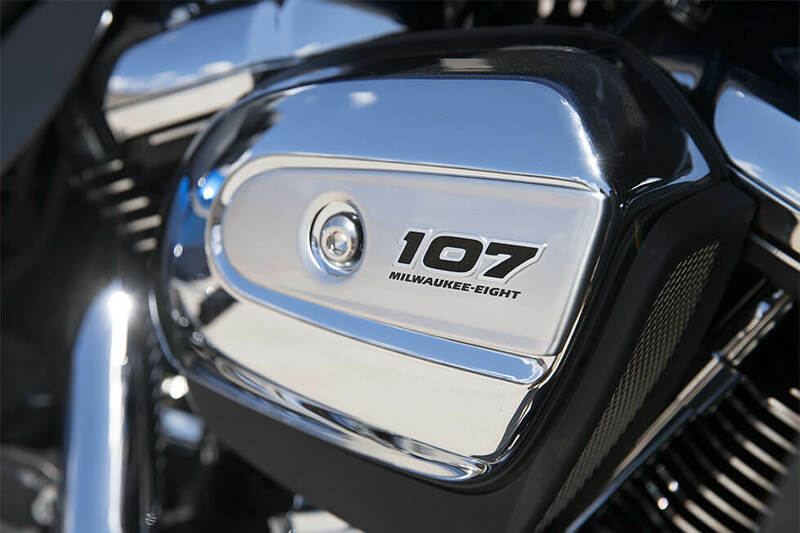 All-New Milwaukee-Eight™ 107 Engine: With more displacement and a higher compression ratio, this all-new v-twin cranks out more power and delivers more miles per gallon. 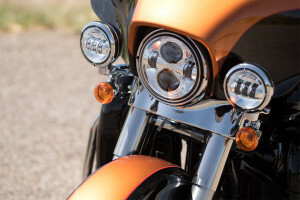 It also offers cooler running temperature for greater rider comfort, and counter-balancing for reduced vibration and smoother ride. 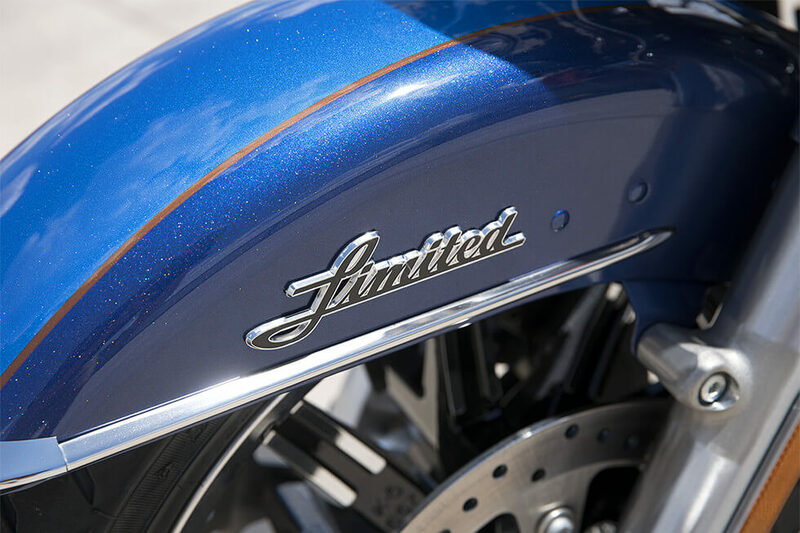 It’s the prefect engine for the Ultra Limited®. Overview Milwaukee-Eight™ 107 Engine: With 107 cubic inches of displacement, this engine is bigger, but it isn’t less efficient, and it runs cooler and smoother than ever before. 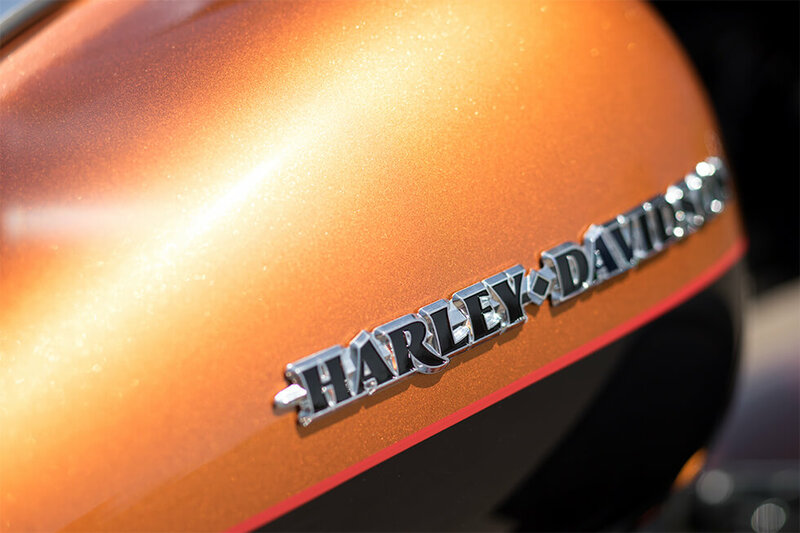 Thank the careful engineering executed by Harley-Davidson® engineers for this advanced powertrain that’s better in every way. Even the exhaust note is purer, cleaner, and free from mechanical noise, and the charging output is higher to handle today’s devices. Steering Head and Forks: The 49mm fork legs deliver more stiffness than before. This ensures that no matter where you’re riding, you’ve got confident handling up front. Ergonomically Designed Hand Controls: In order to give you optimum control, these hand controls are designed around you to deliver long haul comfort like never before. Reflex Linked Brakes with ABS: Linked antilock brakes provide confident stopping power in all conditions. Never worry about locking up your wheels when you grab a fistful of brake lever! 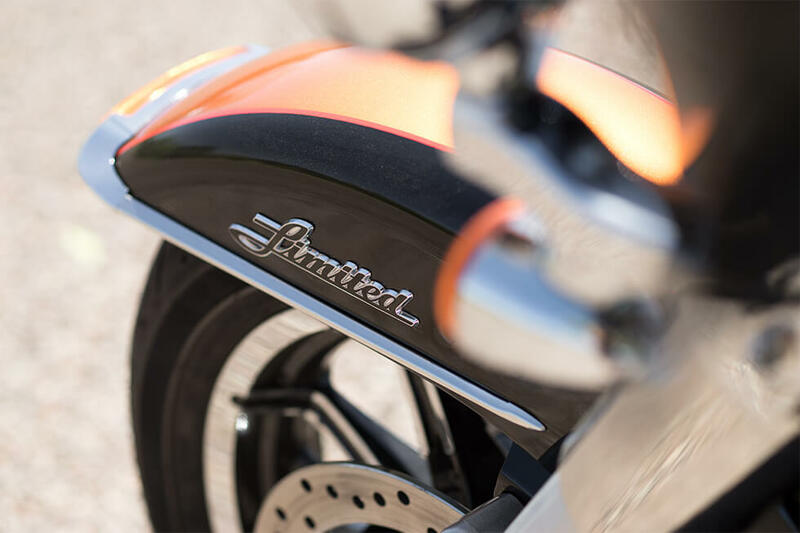 Air Adjustable Suspension: It’s simple; set up the suspension softer to ride with a light load, or set it up firmer to handle two riders and full saddlebags. 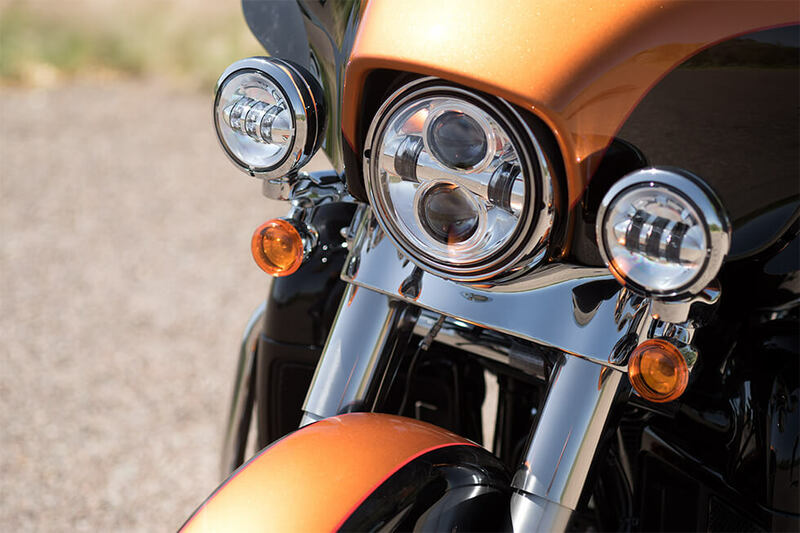 H-D® Smart Security System: The sophisticated wireless security system is like a digital watchman guarding your bike when you’re not around. Just take the keyfob with you and it turns on automatically. 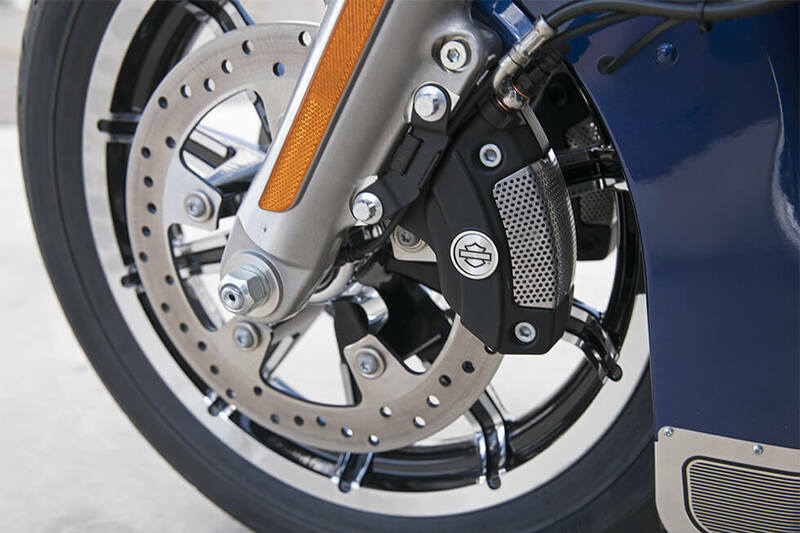 Brembo® Brakes: You’ve got two rotors and a four piston caliper up front for amazing stopping power even when riding with a full load. 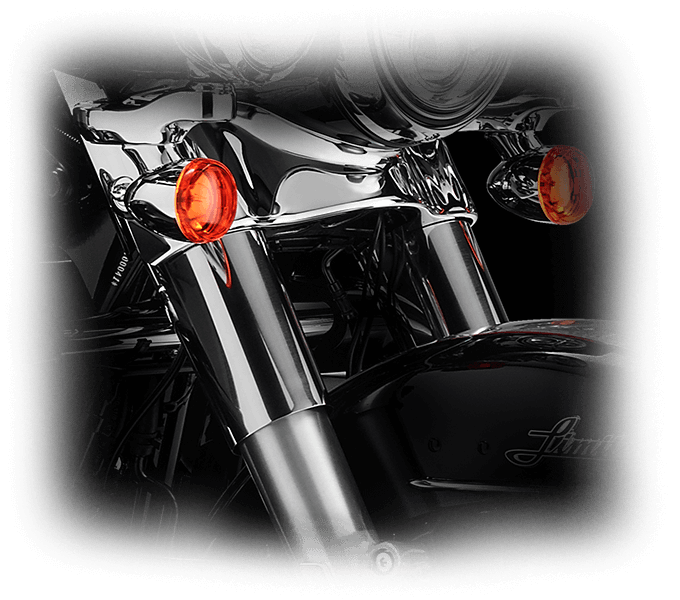 High Output Twin Cam 103™ Engine: Nobody ever asked for less horsepower on a motorcycle. 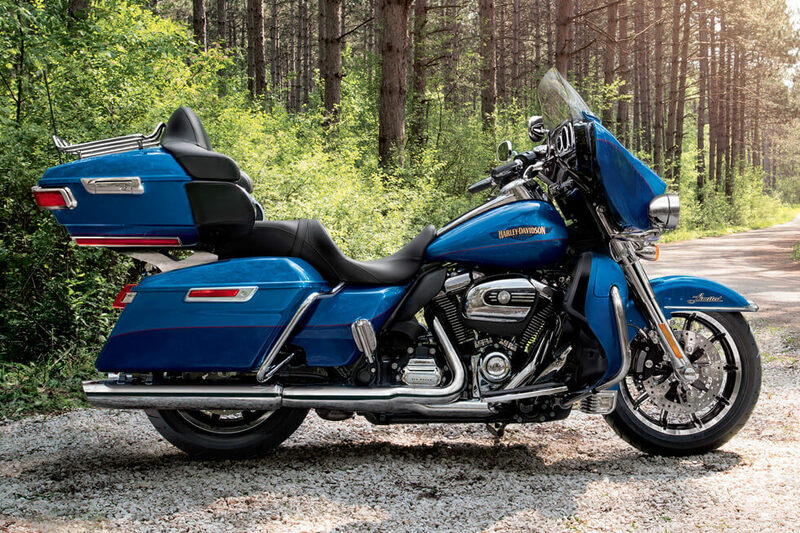 The High Output Twin Cam 103™ delivers the reliability and muscle you want. Lowered Suspension: The Ultra Limited Low is an inch lower than the Ultra Limited. That puts you closer to the ground, making the bike ideal for smaller riders or anybody who likes easier handling. Lowest Seat in Touring: If you’re looking for the lowest seat in touring, you’ve found it. This bike puts you closer to the ground than the competition. Dunlop® Multi-Tread™ Tires: These unique tires deliver the long lasting confidence you want on a touring bike. The firmer compounds at the wheel’s center provide durability, while the softer sides give you the grip to rail into those corners. 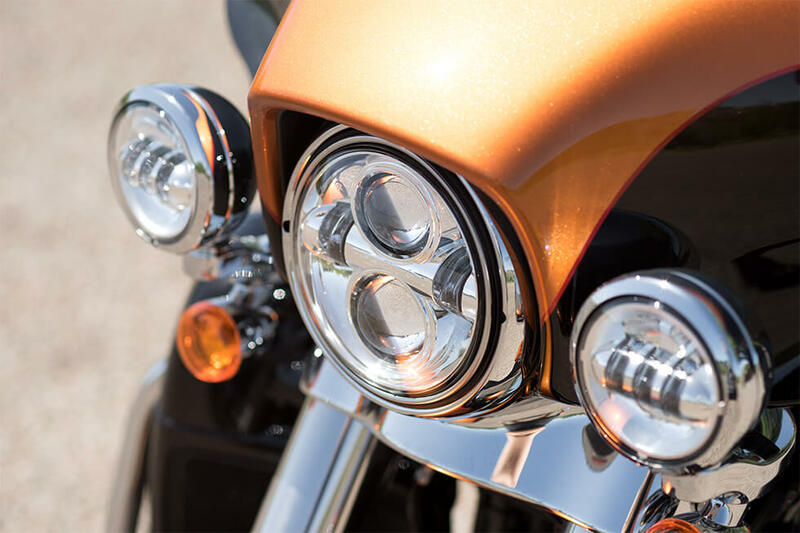 Daymaker™ LED Headlamp and LED Fog Lamp: At 2,136 lumens, the Daymaker™ front headlamp lights up the night. They don’t call it the Daymaker™ for nothing. Six-Speed Cruise Drive® Transmission: This smooth shifting gearbox makes it easy to shift through the gears, and when the low rpm top gear kicks in, you’ll enjoy plenty of smooth highway miles. 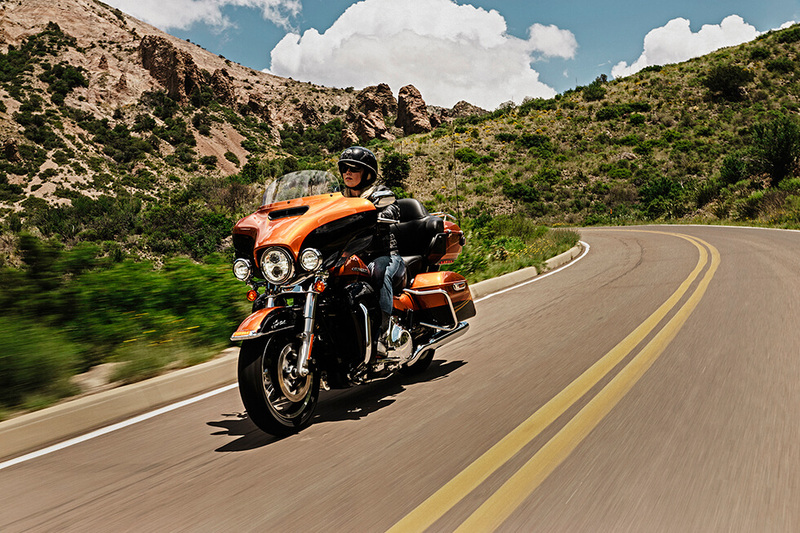 Nothing feels quite like hitting the road on your premium touring bike from Harley-Davidson®. That’s the experience the Ultra Limited Low delivers. Full Length Floor Boards and Heel/Toe Gear Shifts: You can drop your boots in comfort with these generous floor boards, and the rider also receives a set of adjustable foot rests to match. Fairing Design: The Ultra Limited is armed with this unique aerodynamic fairing that doesn’t just protect you from flying insects. 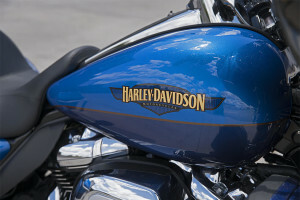 It also cuts through the wind to deliver reduced head buffeting and better comfort. Tour-Pak® Luggage Carrier: This smartly designed luggage carrier is spacious, weatherproof, and secure, and it’s capable of holding up to two full-face helmets. Saddlebag Design: Sleek, locking, and paint-matched saddlebags are equipped to fit all your gear securely. One Touch Fuel Door: Touch the single button on the fuel door and it pops open. Battery Charging Harness: If it wasn’t here, you’d have to add it. We took that job off your plate. Handlebar Position and Grips: The Ultra Limited Low puts your handlebars closer to your body and includes reduced diameter grips to suit smaller riders that may choose the low version. Reduced Width Housing and Derby Cover: The whole bike is narrower in order to provide more comfort. 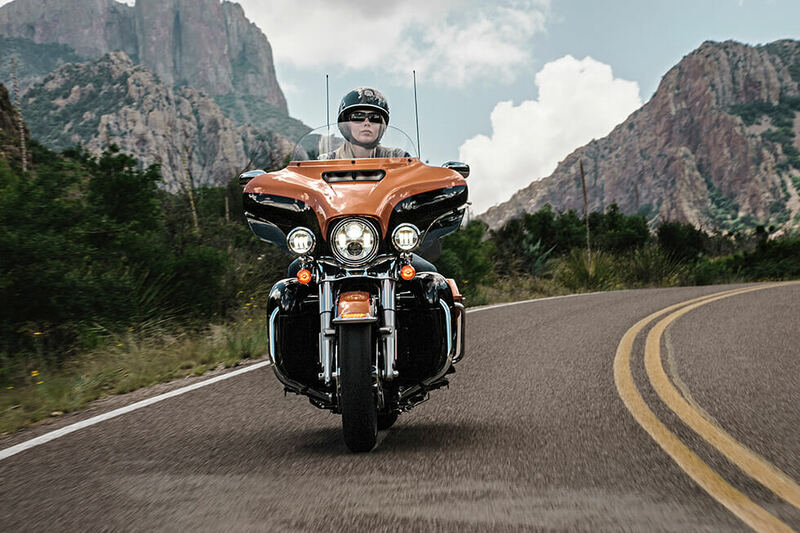 It’s not just about height when you’re trying to meet the needs of all kinds of riders. Windscreen: Smaller is sometimes better. The smaller windscreen actually reduces head buffeting by decreasing the vacuum formed by larger models. Wide Set Handlebar: With this stylish, wide set handlebar, you’ve got the kind of comfortable and confident riding position designed to ride all day. One-Touch Design Philosophy: The fuel fill door, panniers, and trunk are all one-touch operated. If it can be simple, why make it more complicated? 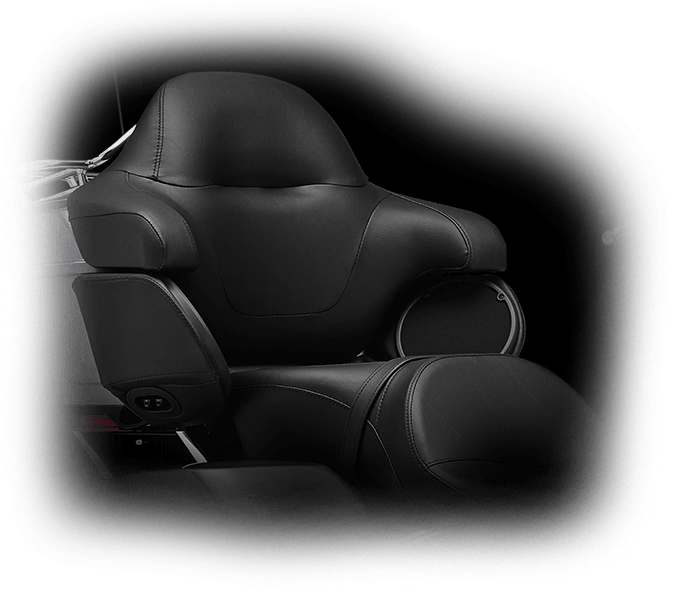 Passenger Seat Space and Leg Room: The Ultra Limited Low provides more leg space and passenger seat space than before, making for a comfortable two-up ride. 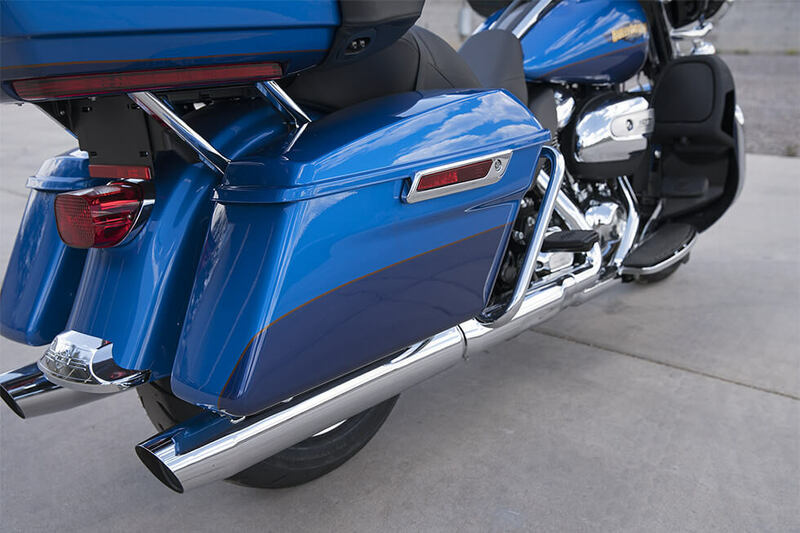 Fairing Lowers: Painted to match the batwing fairing, these smart lower fairings protect your legs from wind, rain, and everything else. Passenger Footboard Mounts: These footboard mounts provide a place for the passenger to rest their feet, but they can also fold out of the way for parking lot maneuvering. Back and Arm Rests: Lay back and relax with these supportive back and arm rests. They deliver the kind of comfort that sets the truly great touring bikes apart from the merely decent ones. Heated Hand Grips: The Ultra Limited Low come standard with heated handgrips that provide warmth on the coldest of nights. Cruise Control: On a bike designed for long-haul highway rides, cruise control is not a feature you want to go without. The Ultra Limited Low delivers a full featured touring bike look with unmistakable Harley-Davidson® style. 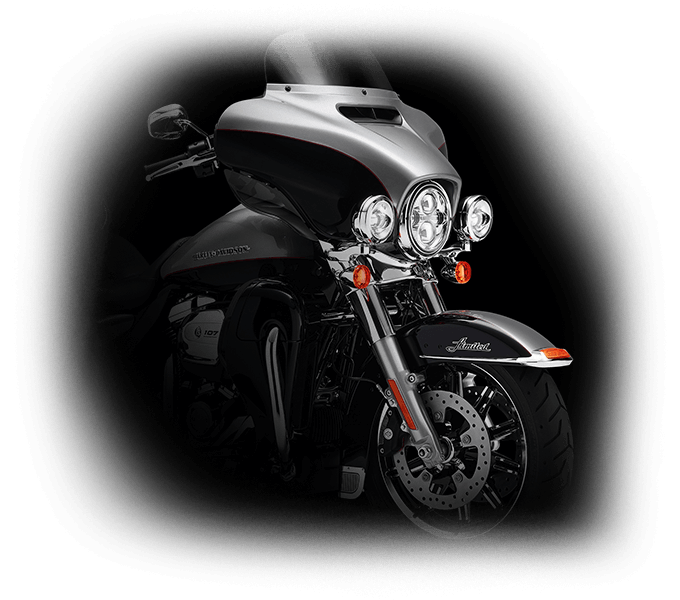 Gloss Black Inner Fairing Design: The back side of the fairing is finished in a premium gloss black that allows you to focus on the gauges and infotainment system. 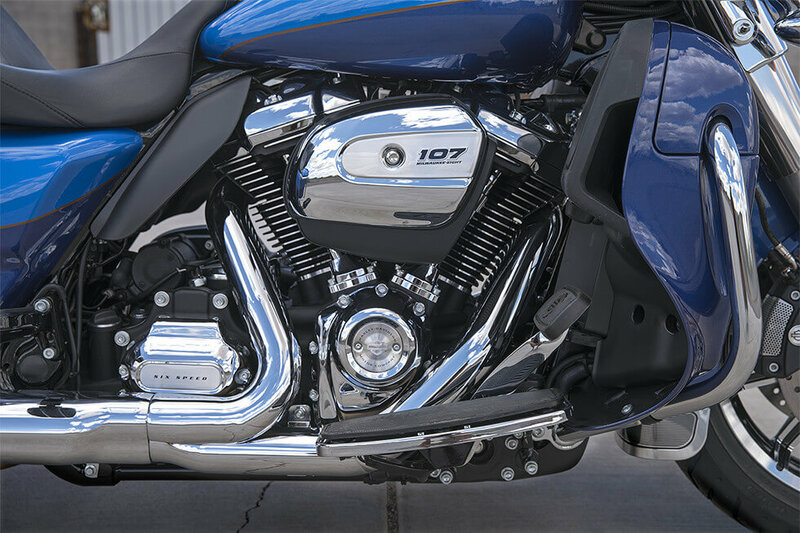 High Flow Airbox: With its brilliant chrome finish and custom badging, it’s easy to focus on the high flow airbox. The more air that comes in, the more power the engine receives. Bullet Turn Signals: While the lighting elements might have been updated, the classic, chrome bullet turn signals haven’t changed a bit. Restyled Fairing and Fender: The style of the fenders and fairing might be classic and distinctive, but it’s also all business. 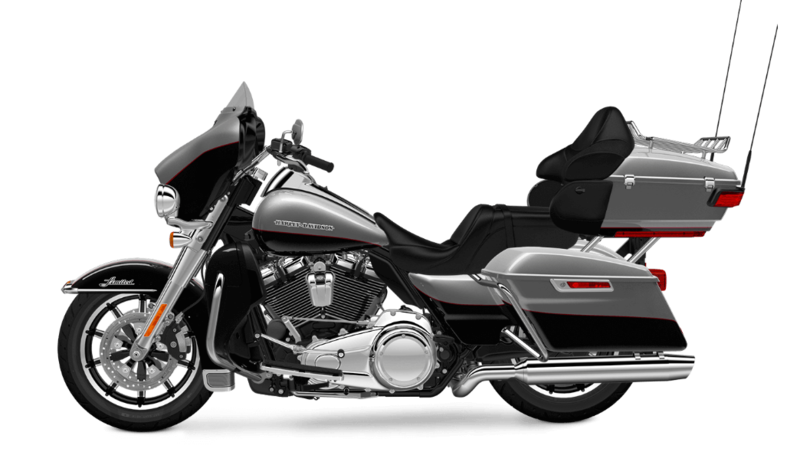 The fairing reduces head buffeting, and the fenders keep the rain and road grime off you and your passenger. Impeller® Wheels: These bright wheels stand out, and the brake rotors are designed to match the rest of this stylish bike. 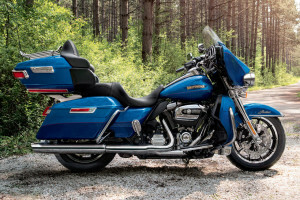 Classic Fuel Tank: With six gallons of fuel, it’s easy to rack up the miles. That big tank also gives you the real estate to display plenty of premium paint and high quality Harley-Davidson® badging. 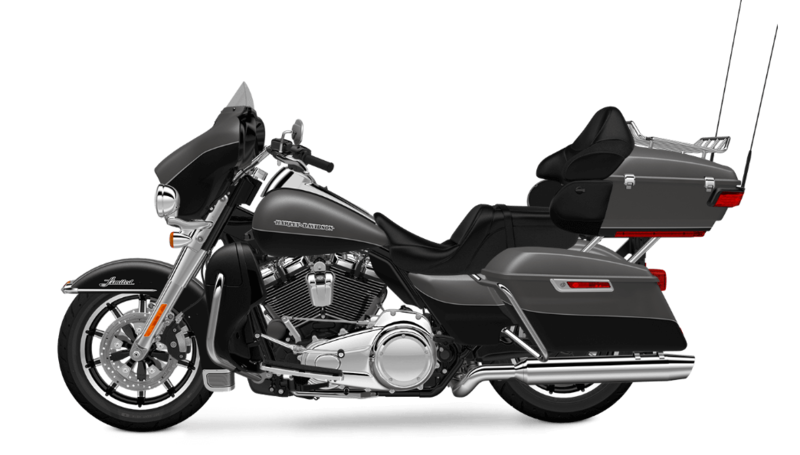 Pure Harley-Davidson® Styling: The new Milwaukee-Eight™ will turn heads with black powdercoated heads, bright polished cooling fins, chrome rocker covers, and big, bold racing inspired scoop style air filter. It’s an air-cooled sculpture that’s hard to ignore. 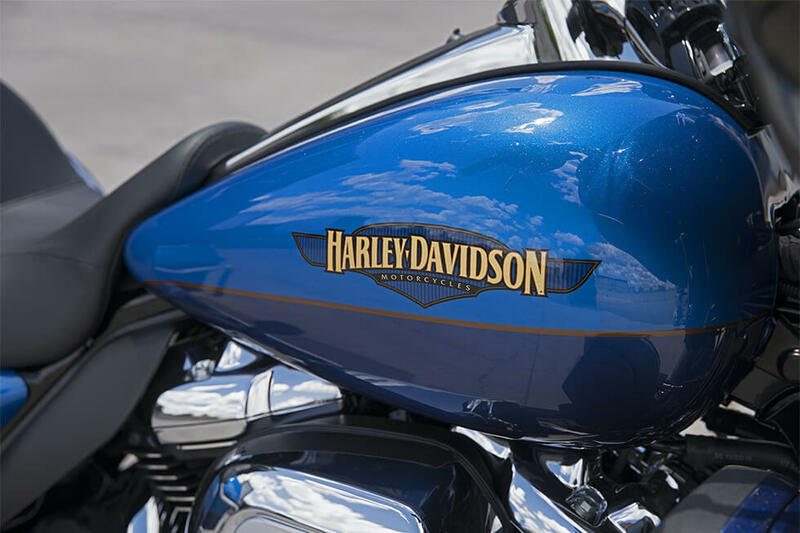 Tank and Fender Badges: Beautifully stylized chrome and black badges deliver the kind of attitude you expect from a heritage brand like Harley-Davidson®. You’ll find all the latest technology on the Ultra Limited Low. After all, why should drivers get all the fun? 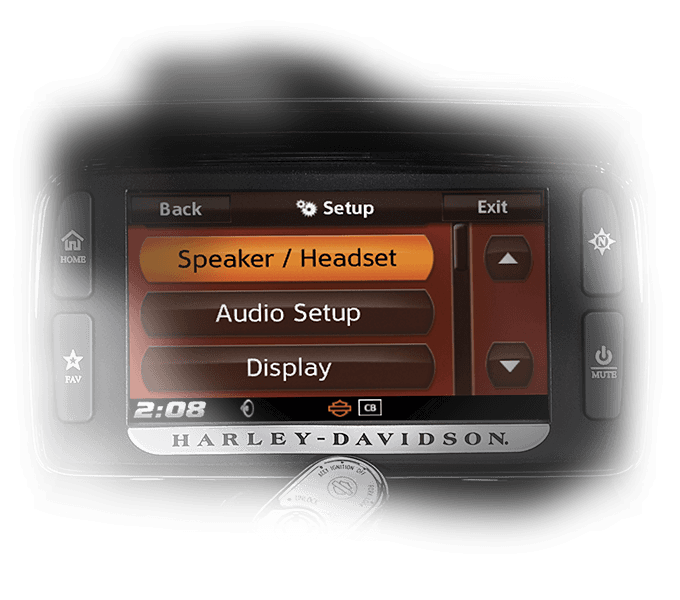 Project Rushmore Infotainment: Smartphone integration, navigation, and audio and entertainment options are all at the tip of your fingers with the latest infotainment system from Harley-Davidson®. Jukebox with USB: It’s quick and easy to plug in your smartphone or any other device in order to charge up and stream audio to the built in speakers. Voice Recognition and Bluetooth: Make calls or take advantage of other commands via voice recognition and Bluetooth wireless smartphone integration. 5.25-inch Front and Rear Speakers: You’ve got a total of four speakers to deliver the extra loud volume you want. That way, your music is the soundtrack to your epic ride. 6.5-inch Color Touchscreen: Simple and intuitive to use, this smart touchscreen system delivers the features you want, and you’ll stay connected out on the road. The Boom!™ Box 6.5GT Radio: This smart infotainment system pumps out 75 watts per channel at only 1% distortion, and it automatically adjusts volume levels to provide better sound at any speed. Ready for Upgrades: If you want to add services like satellite radio or traffic and weather, the Ultra Limited is ready for upgrades.